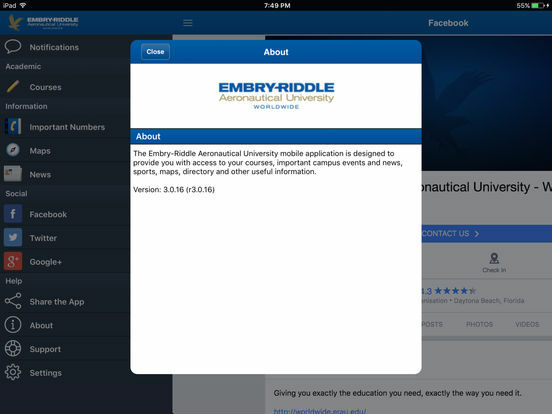 Courses: Access information about your enrolled courses, including times, locations, and class rosters. You can also access your Canvas assignments, grades, discussions, and announcements. Courses are linked to the map function to assist you in locating your class meeting place. Events: View information about upcoming campus and sporting events. Add these to your calendar or share them with others via email. 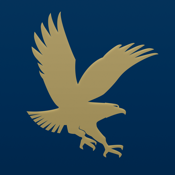 Sports: View news and scores from your Eagles athletics teams. News: Read news and notices from the University, campus, and other sources. Videos: Watch videos from various sources including the University YouTube site. Directory: Allows you to search for contact information for staff, faculty, and students. Maps: Use the maps to help locate particular buildings, campuses, and services. Important Numbers: Includes a list of frequently used campus phone numbers.